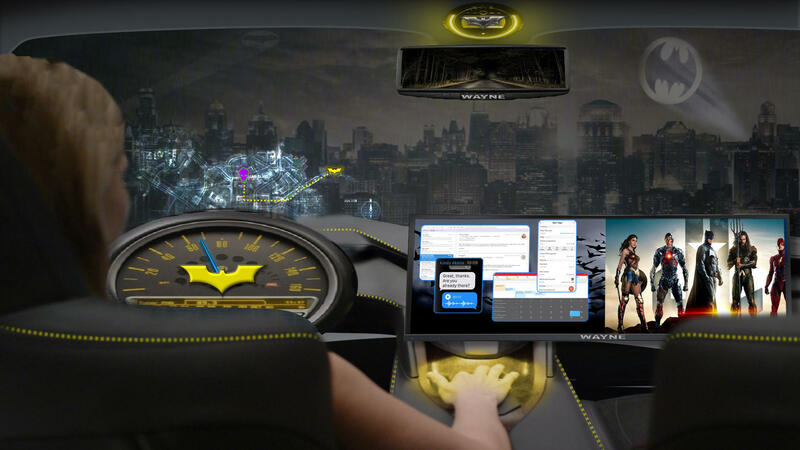 Intel has announced that the company will be collaborating with Warner Bros to develop in-cabin, immersive experiences in autonomous vehicle (AV) settings. The two companies are collaborating on what they are calling an AV Entertainment Experience and in order to highlight what their collaboration is all about, they are creating a first-of-its-kind proof-of-concept car. The vehicle will be part of the Intel’s 100-car test fleet and will highlight the scope for entertainment when it comes to autonomous cars. With no distractions caused by driving or having to keep an eye on traffic or the road the advert of autonomous cars in the future will leave consumers with plenty of time for entertainment as they travel in their vehicles. With the average American spending more than 300 hour every year in a vehicle, there is immense potential for entertainment. Consumers can not only enjoy the movies and television programs that they see now, but thanks to technological advances will now have access to immersive experiences like in-cabin virtual reality (VR) and augmented reality (AR) innovations. Commenting on the collaboration, Brian Krzanich, CEO of Intel Corporation, said that the technology Intel is bringing to market is not just about enjoying the ride, but is also about saving lives with autonomous vehicle systems being considered as an extension of seatbelts, airbags and anti-lock braking systems. Krzanich said that the Mobileye ADAS (advanced driver assistance system) technology has already saved many lives. ADAS products from Mobileye have so far reduced accidents by 30 percent, saved 1,400 lives, prevented 450,000 crashes and saved USD 10 billion. He said the company’s long-term goal is achieving zero driving-related fatalities with standards and solutions that will facilitate mass production and adoption of autonomous vehicles. Till consumers transition completely to autonomous vehicles, there is a need for standards that will determine which party is at fault when collisions occur. Krzanich said that Intel will collaborate with automakers and policymakers on setting clear rules for fault in advance for autonomous cars in order to boost consumer confidence and clarify liability risks for consumers and the automotive and insurance industries. Intel and Mobileye have already come up with a mathematical model called Responsibility-Sensitive Safety (RSS) to ensure, from a planning and decision-making perspective, the autonomous vehicle system will not issue a command leading to an accident. Earlier this year, Intel finalized a deal with Mobileye to achieve better-than-human-eye perception through a camera. Mobileye’s ‘eyes’ can work with Intel microprocessor ‘brain’ to deliver more than twice the deep learning performance efficiency than the competition thus leading to better fuel economy and less expensive cooling solutions.